Jorunn Hodne – On A Day Like This – Album Review | The Ark of Music – The best music in the world…you never knew existed. The town of Stavanger, Norway’s very own Jorunn Hodne grew up surrounded by music, though not in a conventional sense. The former journalist was raised in a home where both parents were part-time musicians: her father a lead-singer in a prison band, and her mother a funeral singer. Perhaps it was her parents’ rather sobering musical settings which lead to the creation of Jorunn’s fun, free-spirited artistry. 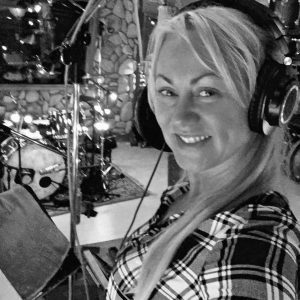 Singing since she could walk, performing professionally for the past fifteen years, and writing and producing her own songs for the past ten, her library of work includes 2010’s Trespassing, and 2012’s Move On. Those “disgustingly talented musicians” include: Larry Beaird (acoustic guitar, producer), Michael Rhodes (bass), Dan Dugmore (steel guitar), Troy Lancaster (electric guitar), Evan Hutchings (drums), David Dorn (keys), ​and Ingvill Bjorland and Gunhild Lie (backup vocals). A track which could easily crossover into the pop-rock genre, I Wanna Sing Along, has a classic nostalgic feel. Keys and harmonica add a sonic spice, and Jorunn’s vocals are, once again, fundamentally solid. (She makes singing sound easy.) And, at only 2:50, the track sticks around just long enough to make you want to hit repeat. The cathartic country ballad, Come With Me, offers the redemption of real love, as well as a lovely and harmonious vocal effort. With just the right touch of digital delay, When I Say Nothing‘s electric guitar hook is delicious, and sends the song off into an ambient place that the word “Country” just can’t quite contain. Also: Do I need to brag about Hodne’s vocals again? Because…I will. 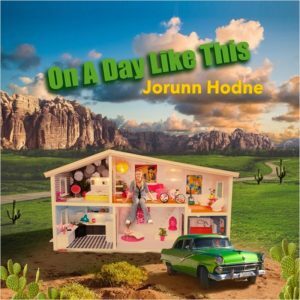 Jorunn Hodne’s, On A Day Like This, is a 10-track showcase of one legitimate singer/songwriter talent. Her timbre, while being both clear and attractive, also feels effortless and relaxed; and it is that very chilled vibe which has inevitably carried-over and created her audience. As far as her band of “disgustingly talented musicians” goes…I don’t know that I could have described them any better. Each song comes-off as finely polished as anything else playing today. And, considering the entire album was recorded in a mere 6 hours, in the end analysis, it seems Hodne was spot-on. BELOW, you can listen to music from Jorunn Hodne’s album, On A Day Like This, and connect with her website and social media platforms. Please support Jorunn Hodne by visiting her online, and playing, downloading, and/or purchasing her music. And, as always, thank you for supporting real music!